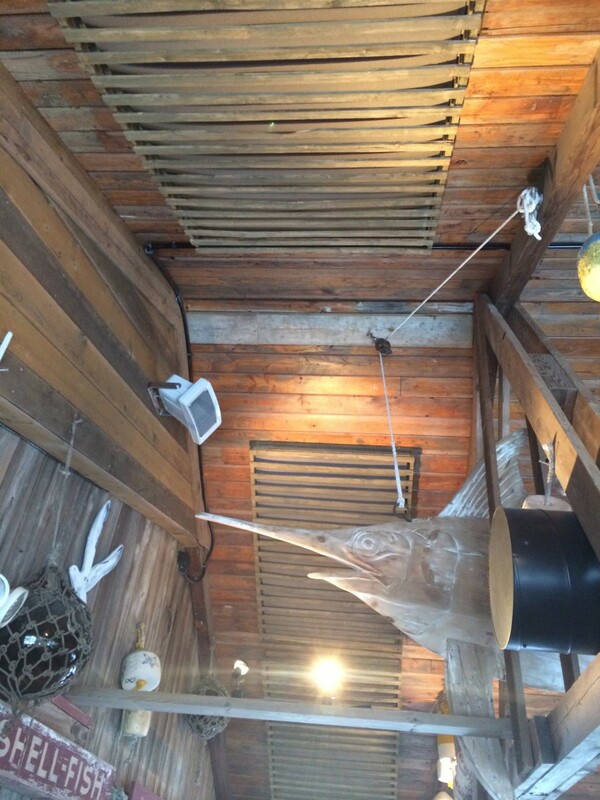 When New England Soundproofing received a call from The Lobster Trap we knew that customized acoustic panels was key to help reduce and match the décor of the restaurant. The Lobster Trap, located in Bourne MA, was a seasonal restaurant, serving lunch, dinner, and drinks only in the spring, summer and fall. But when the owner decided to stay open full time, the noise during the winter season in the dinning and bar area was far to high to satisfy the customers. During the warm months, The Lobster Trap would open all the windows that surrounded the dinning area and the noise would escape from there. But now with the cold New England winters, the windows were closed and the reverberation within the restaurant was too high for comfort. 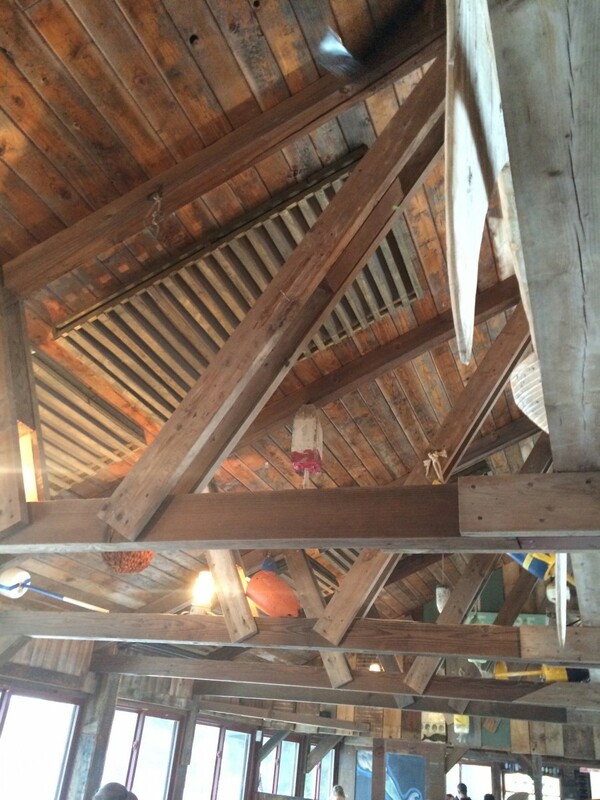 The restaurant in the current state is made of all beautiful wood ceiling; exposed wood beams and had all sea-scene decors throughout the ceiling. The walls were lined with windows, and the only spot for acoustic panels were the ceilings. After a on-site acoustic evaluation, New England Soundproofing came up with a “lobster trap” style acoustic panel. On the ceiling, New England Soundproofing custom built and installed the acoustic panels. Over the acoustic panels we custom made a lobster trap looking frame. 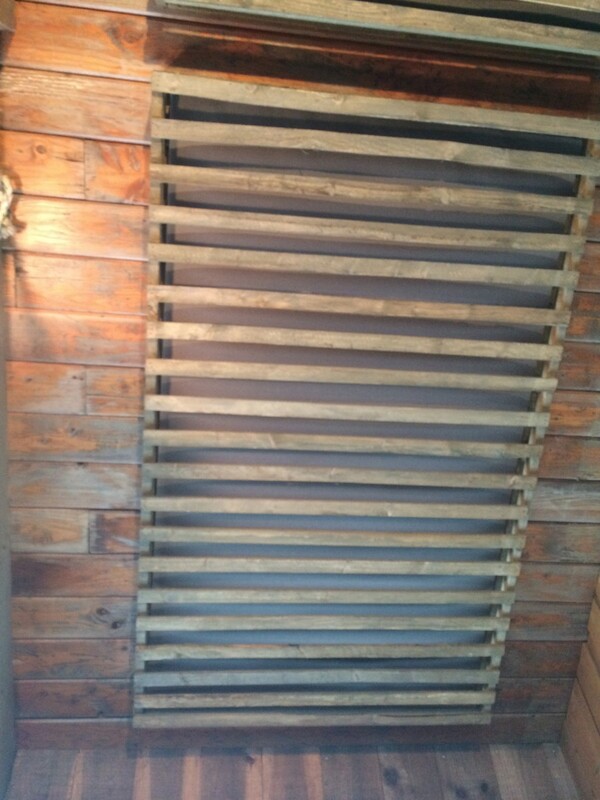 This would give the look of the wooden trap but would have the effect of the acoustic panel underneath. The panel was able to still absorb the noise and the customer would never know that it was there. As the cold weather came, The Lobster Trap was able to stay open and customers were extremely happy with the noise level throughout the restaurant.